Unlock Samsung Galaxy S II T989 - Safe IMEI Unlocking Codes for You! Unlock Samsung Galaxy S II T989 Handset! In case your Galaxy S II T989 doesn't ask for the code and there is no designated field to enter it, please DON'T PLACE ANY ORDER, contact us first for support. 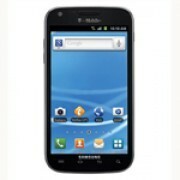 Are you looking to unlock your Samsung Galaxy S II T989 cell phone? If yes, SafeUnlockCode can do that for you with our Fast and Safe Unlocking Service! The whole process is easy and 100% Guaranteed to unlock your device! 1.Send us the correct IMEI of your Galaxy S II T989. (Find the IMEI by dialing *#06# on your phone or by checking the sticker underneath the battery) The IMEI is a 15 or 16 digit number and is unique. How to Unlock Samsung Galaxy S II T989 Phone - Tutorial! I wondered if their is any possibilities the codes won't work? Hi Bob! In very rare cases the codes can not work but we have an easy refund policy. Please read it before placing the order. Thank you!